Fundraiser by LeAnne Zolovich : Bring the Oil Rig to NISHM! Bring the Oil Rig to NISHM! It's time to add another amazing artifact to the National Iron & Steel Heritage Museum's collection!! 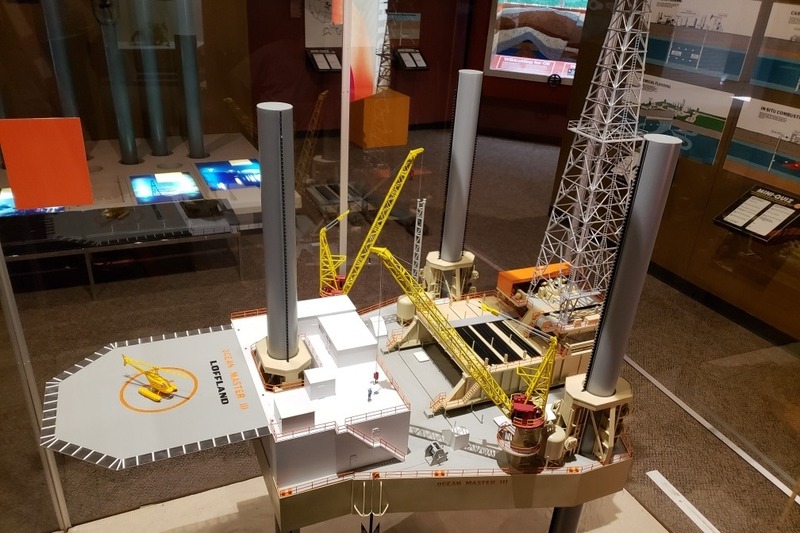 The museum, which collects, preserves, and educates the public on our nation's steelmaking past, is looking to acquire a model of an oil rig. This is a model of the Ocean Master III oil rig, of Loffland Brothers Company, in Tulsa, Oklahoma. The rig was capable of drilling in water depths of up to 160 feet. This rig was made with American steel, making it a perfect fit for the collection. The museum will display it near the GUPPY, a submersible that might have inspected oil rigs such as the Ocean Master III. The museum needs to transport the rig model from the American Museum of Science and Energy in Tennessee. This will cost $3,800 and the museum needs YOUR help to make it happen!